Podcast debuts Wed, Feb 13th. 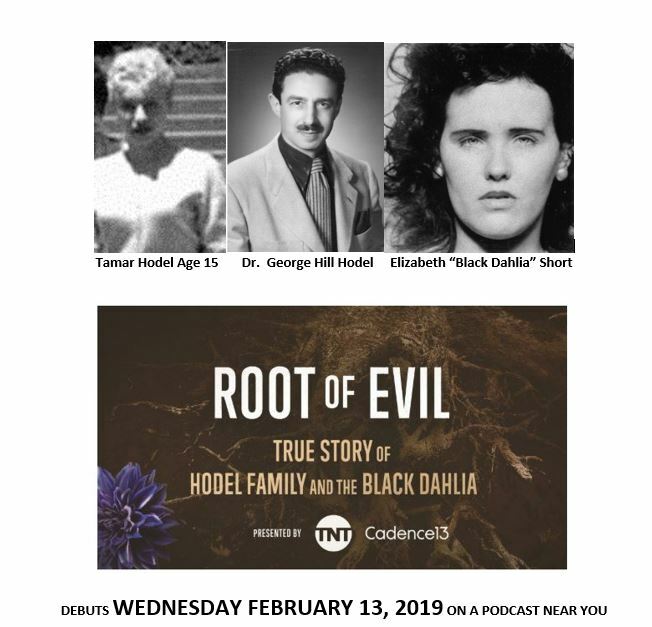 I have had an opportunity to preview Emmy Award Winning Documentarian Zak Levitt’s, ROOT of EVIL (seven of the eight episodes). After listening to them, I can confirm that the series of family interviews does in fact capture “The True Story.” My family members have in their separate interviews, been brutally honest in conveying their unique experiences (most of them totally new and profoundly shocking to me.) I highly recommend the series which will present our family truths which are far-far stranger than fiction. I’m so excited for it to start! I’m very much looking forward to this, especially having just read Sheila Weller’s recent piece on FaunaElizabeth. Very courageous of both you and your family to share your stories, however painful, with the public. I’m new to podcast how do i get to hear this pod cast is there an app I can down load? Can’t wait to listen!! I like the Overcast app . Just download any podcasting app and search for and subscribe to the podcast. When new episodes are released they will show up in your app. Hi Steve, I have been watching “I Am The Night”, mainly to see how it would be handled. It has been entertaining. There is a man named Seth, who has been following Fauna around, & last night he was shown doing a surrealist sculpture to show GHH. George wasn’t impressed & told Seth not to try to reach the height that he was at. I couldn’t help but wonder if Seth is supposed to represent Fred Sexton, just as Corinna is supposed to represent your Mother. Until now, I figured he was purely fictional. They are playing up the surrealistic aspect of the story, which I do like to see. Is there some kind of website that follows the podcast? Pictures that the daughters mention in the podcast? Original pictures of the birth certificate or pictures of the real people? What did you think of episode 1?? I thought it was very interesting and well produced. It must have been weird for you to hear your sisters and nieces voices. Yes, Well done. I’ve heard the first seven of eight. Very happy with the production. Gets way better as the story unfolds. A lot of their interviews were all new to me yes. You are an amazing man to have worked so hard to find answers. I just listened to the podcast and am trying to square away all the family members. Who was Tamar’s real mother? Did Tamar live with her Dad? At the beginning of the podcast, an 11 year old breaks into Geotge’s house with her mother. Who is that? The sisters said their Aunt. So sorry, Steve! I knew you weren’t George (thank goodness)! My apologies for the error. Hi Steve – I really enjoyed the first episode of the podcast! There are a couple of events that your niece Fauna describes in her memoir that I was curious about, and that I haven’t seen you comment on in any of your books. One is Fauna coming face-to-face with GHH in San Diego (if I recall correctly), even though they didn’t ‘meet’ and she had no idea who he was until later meeting the rest of her birth family. Fauna also describes her phone lines being tapped, hints that your cousin Marion had been afraid to talk to her (she says she was told by GHH not to speak to him), and strongly suggests George was responsible for the brutal murder of her adoptive cousin (this was referenced in the TNT fictionalization as well, but with a different character). This all would have been in the mid- to late-sixties. I’m curious as to your take on these, or if you have any direct knowledge of any of it. And will they be brought up in the podcast? Looking forward to the next episode! Ted: No, these will probably be discussed by me at a later time. I do not believe they were touched on in the podcast. After the podcast completes its final two episodes. Just finished listening to the last podcast episode “George’s gift”. Was fascinated when they talked about where Tamar’s name came from but I think that the history goes back even further than the poems cited. In 2 Samuel, Tamar is the daughter of King David. Tamar was lusted-after, tricked, and raped by her half-brother, Amnon. Perhaps that is where the author of the poems got the name Tamar from? Dawn S. Yes, exactly so. The poet, Robinson Jeffers source for his poem was the Bible. Has “George’s Gift” been pulled? I can’t get it to play on any platform. EM Sanders: Not sure whats up with it? I’ve sent a query to the exec/producer asking for info on it. Will let you know when I hear back. “Hmmm. Our tech guy just checked it on iTunes, Google Podcasts, Spotify, TuneIn, and Radio.com. All good there. Steve, I have been bingeing the podcast all day (currently on The Minotaur). Having your family on board telling this story makes it even more impactful. Moving onto the doc series next! Can anyone tell me what the intro song to the podcast is that’s something like “hike up that radio…let me tell you a story?” Is it a real song, or something put together for the podcast. I love the podcast, by the way, and I just started reading Black Dahlia Avenger. Hi Steve. I’m enjoying the podcast. I’ve especially enjoyed hearing about evidence not included in your previous podcasts and interviews I’ve heard, such as the statement about Lillian. 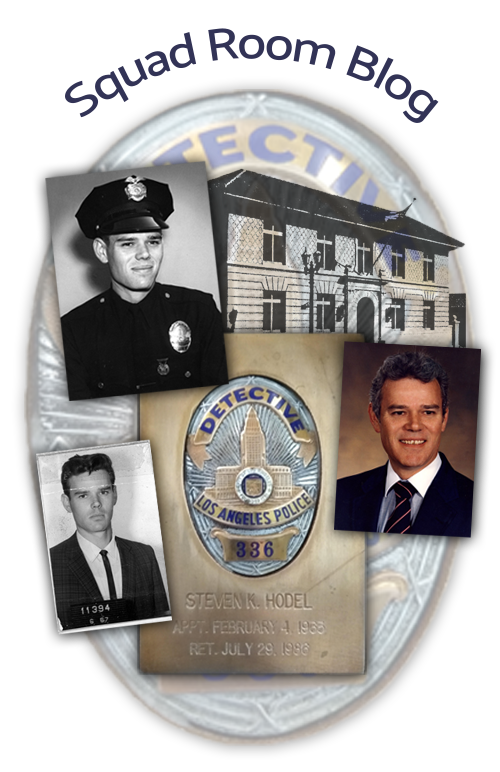 I am wondering, can you answer whatever happened to the child George Hodel fathered while at CalTech? And do you know your half siblings that George had in the Phillipines? Do they have knowledge of the info that has come out about him after his death? Will these questions be answered in the podcast? Melissa P: Glad your enjoying the podcast. Have no knowledge on “Folly” my dad’s first child born circa 1925 in the East Coast. Don’t know what became of her? I have met my half-siblings in the P.I. As fate would have it I was stationed in Subic Bay, Philippines in the Navy and visited them when they were quite young back in the early 1960s. The two boys, my half brothers, Mark and Ramon have passed on, as has their mother, Hortensia. The two half-sisters are living. None of the Filipino family ever accepted that “George did it.” The marriage to Hortensia was short lived. About five years? But, I do not believe the immediate family ever read my book(s) with the possible exception of Hortensia? Of course, much more evidence has developed since the first publication back in 2003, as you have heard from the podcast. Best, Steve. Just finished listening to the “Supposin’ I Did Kill the Black Dahlia” episode. Oh, my word. I literally got goosebumps several times at the end of the episode as you disclosed your finding about the letter and, most frighteningly, the fact that you have evidence that your father may have killed as many as 50 women. You continue to amaze me with how well grounded you are and how you are able to still love your father while hating what he did. I have an incredibly hard time getting past the fact that those cops sat back and most likely listened to a women being killed … and did absolutely nothing to stop it. Dawn S: So do I. So do I.
I stumbled onto the podcast randomly and absolutely devoured it. You said it best-no one would believe how insane this story is. I just wanted to drop you a line to congratulate you on working so insanely hard chasing down leads and getting all this info. It must’ve been so difficult to continue chasing answers that were so painful. That is some serious grit. And, even more impressive, being such and incredible, honest, stand-up guy by bringing closure to the victims family. After growing up with quite a bit of turmoil (to put it lightly) it is a testament to you and your brothers that y’all didn’t follow in your father’s footsteps or perpetuate abuse. You all ended the cycle. To me, that’s the real heart of this story. Hoping you and your family can live out the peace and joy of knowing answers. You definitely deserve it. All the best, Meagan. Megan O: Thanks for the kind words. Much appreciated. Yes, hopefully, the cycles of abuse in the House of Hodel ends now. My older brother Mike was a true journalist and seeker of the truth as a radio reporter for FM station KPFK. Had his own show, a SciFi “Mike Hodel’s Hour 25”. Lots of fans in t he LA and CA. He died young at age 47, so he never knew all that was buried below the surface. Your family did an incredible job on the podcast. There are skeletons in all families. The girls (or woman) did an awesome job of allowing everyone to tell their perspective with minimal spin. Great job on sticking to what’s right too, Steve. I love that you can see justice through regardless of the dynamic between you and the criminal.